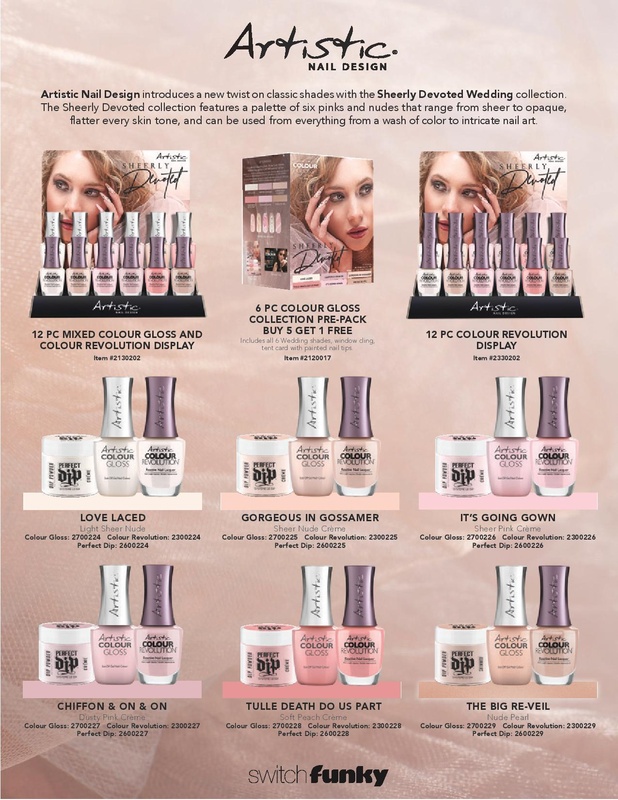 Artistic Nail Design introduces a new twist on classic shades with the Sheerly Devoted Wedding 2019 collection. Whether you’re headed for matrimony or just looking for a colour commitment to last a few weeks, this collection will have you falling in love with all of its possibilities. The Sheerly Devoted collection features a palette of six pinks and nudes that range from sheer to opaque, flatter every skin tone, and can be used from everything from a wash of color to intricate nail art. amount of pearl guaranteed to give you the mani of your dreams! shades will also be available in matching Perfect Dip shades as well. Head down the aisle towards these delightful shades! Artistic Nail Design’s Sheerly Devoted collection will be available beginning in April 2019 for a limited time.